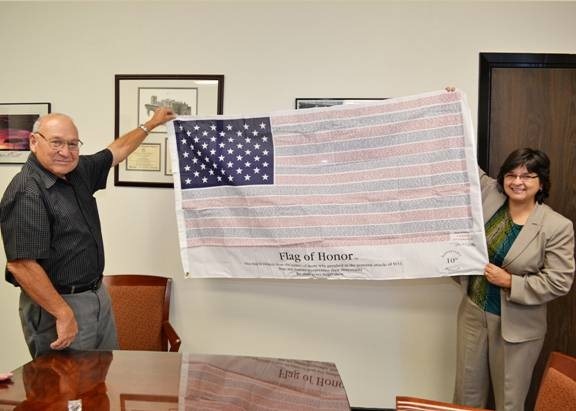 Former Coastal Bend College Board of Trustees member Jessy Garza presented Dr. Beatriz Espinoza, Coastal Bend College President, a Flag of Honor to commemorate the 11th anniversary of September 11, 2001. The stripes on the Flag of Honor are made up of all the names of those who lost their lives on September 11. The flag will be displayed on campus for faculty, staff and students to view.